Great interview with Grandmaster Sen Gao. World SongMooKwan United, Moogongryu, and OMAC Masters. 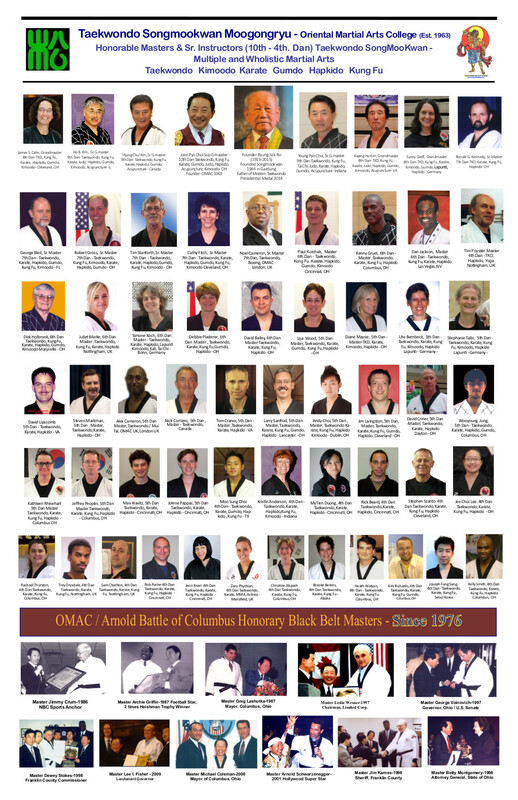 Sunday, 6/24, over 40 OMAC branches black belt students up to 8th dan completed 12 hours of meditation. The test coming on July 19-22 at Kenyon college during the 37th annual OMAC summer camp. They completed 3-6 days of fasting prior to 12 hours meditation on Sunday. Sgm Choi leading the last phase of meditation. Congratulations to all OMAC instructors and students. 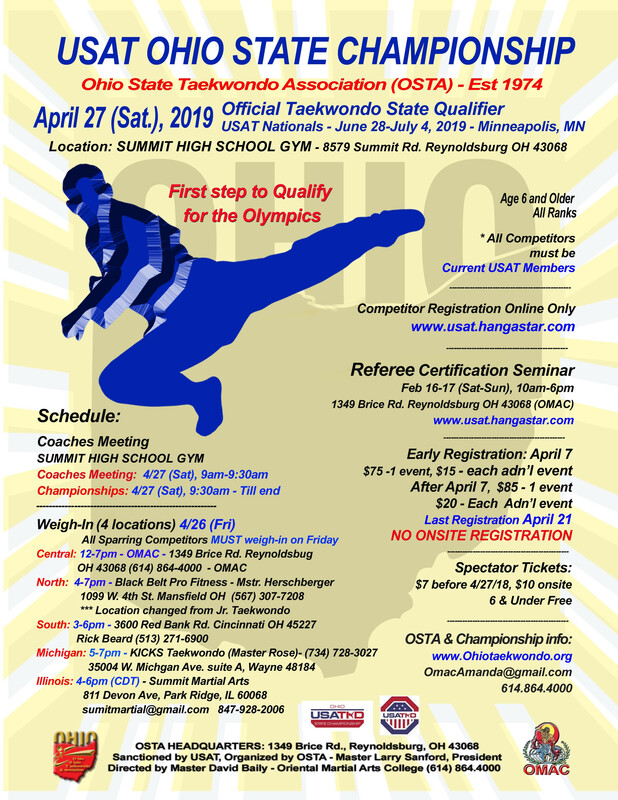 This tradition has been started since 1971 after young master Choi brought taekwondo in the USA. Have a FUN and Unique birthday party - with a KICK! CALL TODAY TO SCHEDULE YOUR PARTY! I entered Pusan National University in March as a freshman. I had not learned my lesson very well in high school however. As I had done in high school, I didn't study, and any chance I had, I spent my time practicing Taekwondo. If I had five or ten minute, I would step outside and practice kicking. My grandmaster was Byung Jik Ro, but he resided in Seoul, so I continued to study on my own. The July Senior Class was held July 6th at the Main School in Reynoldsburg. Over 50 students of all ranks attended and Senior Grand Master Choi led instruction. He started with traditional Moo Gong Ryu skills, then continued with Geukki kicking drills. Each of the five basic kicks were completed in a square pattern: 2 kicks in each direction. Then a third kick in each direction was added. For Front Snap Kick, it was a Jump Front Snap Kick. For Side Kick, a Sliding Side kick. For Round House Kick, a Skipping Round House Kick. Congratulations to Pearson, Miranda, Eva, and Erica. These four are Moosong Dojang (Wilmette) newest Black Belt students.